1 Cooling Tower In a Box II is HERE! 1.1 Sorry, this promotion is no longer available. How about we fix that for you? #CoolingTowerInABoxII (part#: 1269763) is all about letting the water treatment professional show up with ONE box and getting their system up and running…NOW! Prepackaged to include our RELIABLE Model 1575e programmable controller, Conductivity sensor, flow plumbing, 3 point Injection “T”, Sample Port (removable to inject 2nd chemical), Blowdown valve and quantity two each of 24 GPD Pumps. This kit is made to meet 90% of small to medium-sized tower installations and startups. It is time to update the Partner’s Page! Paul Peacock will be calling everyone on our Partner’s Page to verify all the contact information for our partners. For those who may not be familiar with the Lakewood Instruments Partner’s Page, it is a page on our website, www.lakewoodinstruments.com/lakewood-partners-page/ where we send customers to you to buy Lakewood Instruments products and possibly get your foot in the door of companies that need your services! To go to our Partner’s Page, click the “Where To Buy?” link at the top of our home page. A map of the U.S.A. will appear, showing all 50 states plus Canada, Mexico and International. Click on a state and a list of our partner water treatment companies, in random order, will appear. A listing for our partners includes: a company name, address, phone, fax, email, and contact name. Also, if they will include a link to our website on their website we will include a link to their website in their listing. Each partner is allowed one listing for each state that they can physically service. If your company is not on our Partner’s Page, you regularly sell/recommend Lakewood Instruments Products, and you would like it to be on the page, please contact Lakewood Instruments at 1-800-228-0839 to find out what it takes to become a Lakewood Instruments Partner! The Partner and rep has a physical presence in that state. The Partner and rep can send a body to a site within 24 hours if necessary (proves they are within range). 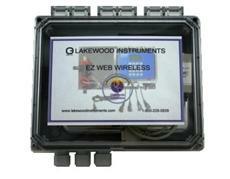 The Partners representative in that area regularly uses Lakewood Instruments controllers, and Lakewood Instruments is a possible part of every call for equipment. We aren’t saying that you can only sell Lakewood Instruments, just that we’re on even footing with our competitors in equipment discussions. We do have an “in house” formula to determine “regular usage”. It works for one-man shops all the way through National companies. What we are doing with our Partner’s Page is giving our partners an opportunity to exploit a contact with an unknown customer. This could represent the opportunity for hundreds of thousands of dollars in chemical business. These are customers that specifically searched for Lakewood Instruments on the internet, and if we are sending them to a partner, we want to be part of the conversation. If you have a rep in a state that does not regularly use Lakewood Instruments, then your company will not be represented in that region on the Lakewood Instruments Partner’s Page. IP addresses are getting an upgrade. On June 30, 2017, Verizon will stop issuing new Public Static IPv4 addresses due to a shortage of available addresses. Customers that currently have active Public Static IPv4 addresses will retain those addresses, and Verizon will continue to fully support existing Public Static IPv4 addresses. You have an existing, functional, Ezweb with a IPv4 address (i.e. 74.62.102.114 [one of our online demos]), then life goes on. Verizon has promised that existing IPv4 addresses (aka what you have) will continue to work just as before. Nothing to be concerned about as long as you keep your yearly service paid up. If you let it lapse and Lakewood turns off your service and you then want to start it back up see #2. The equipment will not change, the router and controller(s) will be just fine as they will continue to communicate with each other as before. The configuration of the Verizon SIM Card inserted into the router will change as will the IP address you have to type in to access your controller(s) remotely. That IP address will be considerably longer than the old (Currently looks like 169.123.456.789) IPv4 (see geeky below). You can wait for the end of June and have two different addresses schemes to keep track of (aka bookmarking in your browser on your various devices). You could order before the end of June and have all the same older IPv4 addressing structure. Give Lakewood a call, we’ll help you work it out.